Help your kids by talking about everything and anything! Have an open door policy with them. Nothing off limits. YOU be the safe one to go to. Adoption: I didn’t give you the gift of life. Life gave me the gift of you! Helping my wife with a project for our nephew. 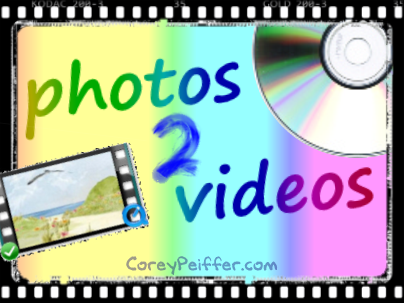 We’ll turn your photos and words into awesome videos. This entry was posted in Circle pi Universe on August 3, 2013 by Corey Peiffer. Make a difference today! Help others be a better them. There is no passion to be found in living small – in settling for a life that is less than the one you are capable of living. Inside each person is something, someone waiting to be called up and out. We each have a sense that there is “more”. This week, stop settling with what has always been, and reach for what never was, but can be!! To achieve success, you will have to step out of your comfort zone, face your fears, and do things that are new and uncomfortable. 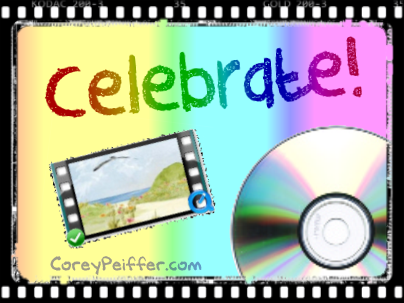 Celebrate God’s goodness in other people’s lives! It’s great warfare against envy. Help enough other people get what they want and you can get what you want. Are you motivated to explore new income opportunities? Handyman. Tinkerer. Growing up on a car dealership and part-time farm, you get comfortable working with wood and machines. FOCUS: The extras you deserve to have and are capable of getting. Plant seeds of hope, success, happiness, faith and enthusiasm. This entry was posted in Circle pi Universe on August 2, 2013 by Corey Peiffer. Good morning! Rise and shine! It’s a beautiful day out there regardless of the weather! Hobbies. Sometimes I just like to draw – often plans for the house or future RV floorplan. Train up a child in the way the SHOULD go! Not your dream for them. God’s dream for them is your focus. BE the best example they have. 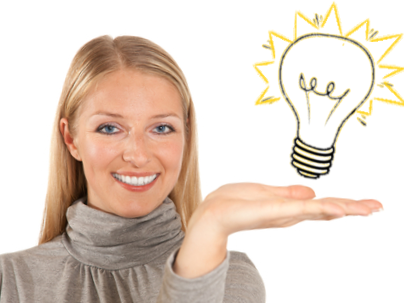 Trying to market your business online? 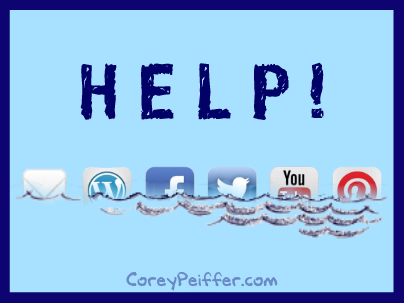 Drowning in a sea of social media? You do what you’re good at. Let us do what we’re good at. 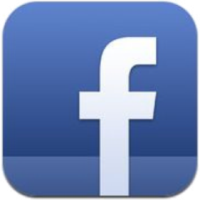 Instead of costing you time and money, we’re here to help turn your social media marketing into a PROFIT CENTER. The Lord lifts the beggar from the ash heap, to set them among princes, and make them inherit the throne of glory. “I’m living proof that you can start out COMPLETELY FAILING in business, finances … and, by learning some SIMPLE SKILLS and PERSISTING, you can turn it all around into SUCCESS!!! So DON’T QUIT! Yesterday I had the privilege of meeting with the pastor of a large local church – discussing the use of internet technologies to better serve the church members and greater community. We’re here to help you do-it-yourself, or do-it-for-you. Success action you can take right now: Share your story. Think about an important “first” of your company. Then make a story out of it and share it using internet marketing. Life requires work to make the most of it. Go to sleep tonight with the commitment in your heart to not give up or give in. This entry was posted in Circle pi Universe on August 1, 2013 by Corey Peiffer. I pledge allegiance to the flag of the United States of America. And to the republic for which it stands, one nation under God, indivisible, with liberty and justice for all. Wednesday can either be an awesome, productive day, or a totally unfocused waste. Choose to stay focused on the tasks at hand and finish strong. Success. Maintaining RELATIONSHIPS with the people you serve at a company is crucial. After all, you’re not actually doing business with a company, you’re doing business with people who work at that company. 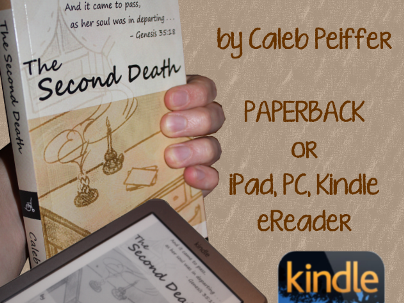 Filled with vivid characters, flavored with heart, and steeped with wisdom, The Second Death is more than a study in murder and mystery but in loss, family, friendship, and… death itself. A vivid cast of characters will light your way along an ingenious maze of secret and deception while the secretive Leo Westmacott will leave you completely in the dark until the final moment. Don’t get your feelings hurt so easily. One who is easily offended stirs up much trouble for their life. Be more! Be bigger! Water under the sink? This week I’m blessed to help a friend and customer. Plumbing fixtures under her kitchen sink have tubing that has corroded to the point of leaking. Water in the right places = GOOD. Water in the wrong places = BAD. God is bigger than this challenge. Adoption. I did not make you in my own image. I created you from the imagery of my heart. INSPIRE. coach. performance. leadership. concept. growth. management. motivate. innovation. achievement. efficiency. goal. incentive. ideas. planning. progress. strategy. This entry was posted in Circle pi Universe on July 31, 2013 by Corey Peiffer. Where you’re at right now is NOT where you’re going to be forever. f you APPLY what you learn, you WILL, day by day, improve your finances, annihilate your debt & better your relationships, career or business. Always look both ways when running red lights. Yesterday included spending time with my boys – teaching them to drive. They’re actually doing quite well. Proud to have served. US Navy. 1986-1994. Submarines. Nuclear Reactor Operator. Electronics Technician. Pray WITH the answer and declare the end! The prophetic work of this generation isn’t judging and destroying people! It’s repairing and restoring! What is the foundation of the life you have now? If it is not as solid as you would like, let God break it down and rebuild you. Are you motivated to explore new income opportunities? Living near the BEACH – every time work takes us close by, my wife and I drive by the beach to soak in the ocean breeze, tranquility and serenity – even if only for a short drive-by. There’s ALWAYS so much work to do. But you’ve GOT to steal time away from life and spend quality moments with the people you love! This entry was posted in Circle pi Universe on July 30, 2013 by Corey Peiffer. August is almost here! What’s on your summer task list? I still need to get the garage cleaned out and organized. Too many hobbies and work projects are stalled because of the mountain of “stuff”. Success. When preparation meets opportunity with a plan and a storm of productive activity. Music. Yesterday’s morning activities included serving as organist at church, including playing the piano for our Men’s Choir. Afternoon involved playing the organ for a memorial service and coaching a local singer preparing for a theater audition. Happy to serve productively at people’s point of need. Inspire. While life around you can inspire, true inspiration must come from within. That’s when the magic happens. When you are inspired, you have the ability to inspire hundreds, thousands of people! It’s mind-boggling! I Love America. Good old fashioned hard work plus freedom to implement ethical capitalism equals opportunity. Guard your mouth and consider carefully the words that you allow to pass. Words have power to hurt or to bring life. 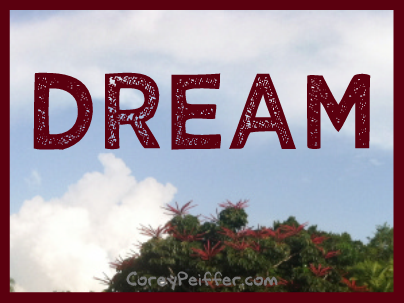 Restoring the ability to dream is a mighty work! Release hope into people and encourage them to dream! Be more! This entry was posted in Circle pi Universe on July 29, 2013 by Corey Peiffer. How many operational computers do you have in your house? Confessions of this techno-geek: I have 12. One for my primary workstation. 1 for digital sheet music when I’m out playing piano for gigs. 1 for my mobile workstation (remote access back into the house). 1 server that also does audio/video heavy duty work. 1 for music studio. 3 for stop-motion film studio. 1 for my wife. 2 that my sons use for their digital work. 1 for the kids general use. And I didn’t count smartphones, tablets, PDAs, etc. A lot of problems would disappear if we would talk to each other instead of about each other. Swim time! Here in Florida, the sun heats up the land mass during the day, and being on a peninsula there’s plenty of moisture. Result: July and August afternoon storms are almost a daily event. So, weather permitting we’ll be headed to the pool! Success. Keep your promises. What did you just offer to do for a prospective client? Note it on your calendar immediately so you’re reminded to follow through. When you ask God to do the impossible, He’ll often tell you to do something inconvenient or uncomfortable. Step up. Stick your neck out. Be productive and willing to help someone. Adoption. Every child deserves a home and love. Period. Housewatching. I’m writing this from a client’s house. 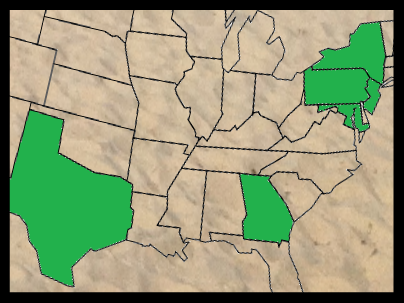 Some of my “snowbird” clients head north for the summer. It’s my privilege to keep an eye on their houses. Do some handyman maintenance and repairs – and keep an eye on subcontractor projects. Protect yourself. Control your environment. Turn off the negatives dumping into your life. Open the channels of motivation and good old fashioned productive work. Lend a hand. Harrison Ford cites helping others as a key to career success. Offer assistance to three people this week so you become their go-to person. This entry was posted in Circle pi Universe on July 26, 2013 by Corey Peiffer. There’s much more to life than amassing a fortune. Everyone has needs, and certain luxuries are always welcome, but making the most of life is about finding personal peace, enjoying family and friends, realizing a purpose, giving back, and passing on wisdom to future generations. The better their diet and health, the longer people can live, thus giving them a greater chance to impact the world. Astonishingly, these “success measures” directly relate to longevity. Know your purpose. Instead of a word for retirement in Okinawa, there is “ikigai” – why do I wake up in the morning? In Costa Rica, it’s “plan de vida” – reason to live. Monday we enjoyed a day at the park – respite from weeks of almost daily afternoon rain, thunder and lightning. Seek wisdom and gain understanding. Better than silver or gold, you’ll find happiness, longevity, riches, honor and peace. He who can reach a child’s heart can reach the world’s heart. Our local fire crews created a large ladder and flag arch for attendees to enter last fall’s 9/11 memorial service. You don’t have to “be inspired” to do the right thing. Just do the right thing because it’s the right thing to do. 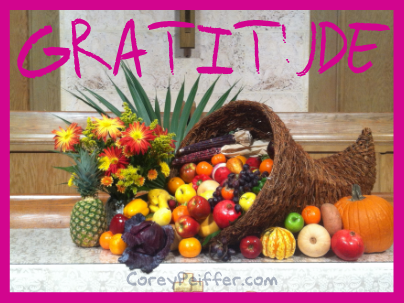 Even in our darkest hour – find the many things to be grateful for. Music. Last night had me playing the piano to accompany our church’s Men’s Choir, getting ready for Sunday worship. Today has me teaching piano lessons to two retirees fulfilling their bucket list. Tonight I’m privileged to play the piano and coach a young veterinarian in her quest to refine her stage singing presence for activities at a local community theater. God gave me a purpose when he planted the seed of passion for playing the piano. Don’t be afraid to show your failures and vulnerabilities. This is what helps make you human, relatable and likable. Tend to your spiritual life – eternal life. Can you dig it? My boys (young men) had too much fun digging out the root systems of bushes that were interfering with our plumbing drain pipes. It’s always interesting to see the bush is just as big underground (the root system) as it was above ground. Find a de-stressing ritual. Deal with stress through various daily activities, including prayer, social time with family and friends, or taking a nap.